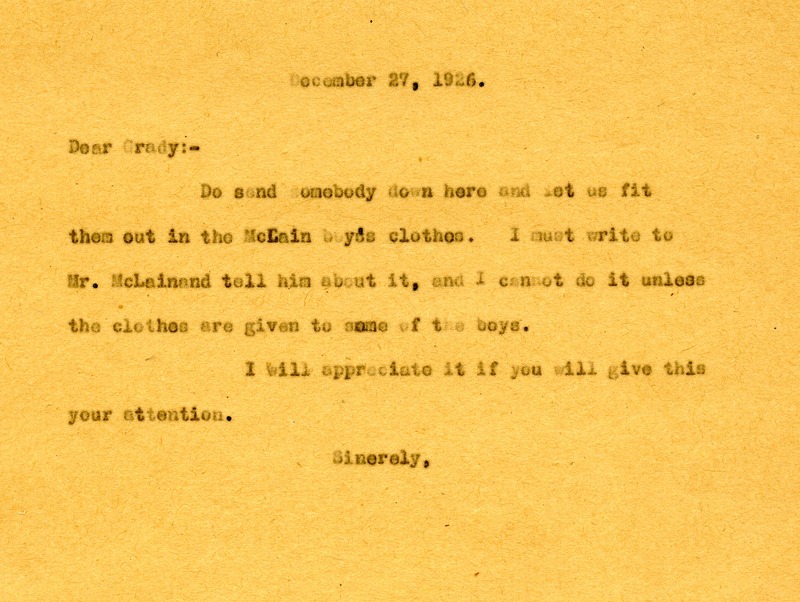 Martha Berry asks Grady to send a few boys down to her to try on some donated clothes, so she may write to the person who sent them. Berry, Martha, “Letter from Martha Berry to Grady.” Martha Berry Digital Archive. Eds. Schlitz, Stephanie A., et al. Mount Berry: Berry College, 2011. accessed April 25, 2019, https://mbda.berry.edu/items/show/242.